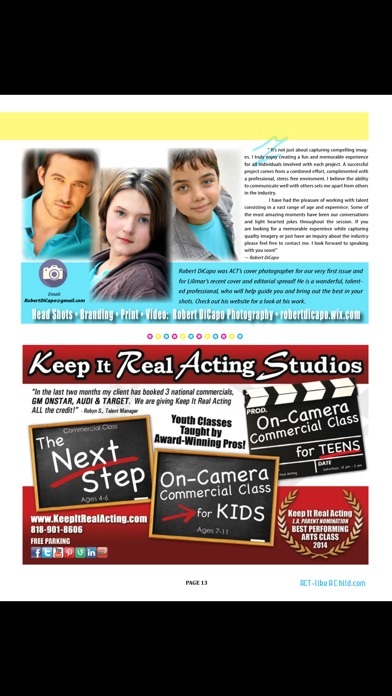 Does your child or teen love to be on stage, in the movies or on the runway? 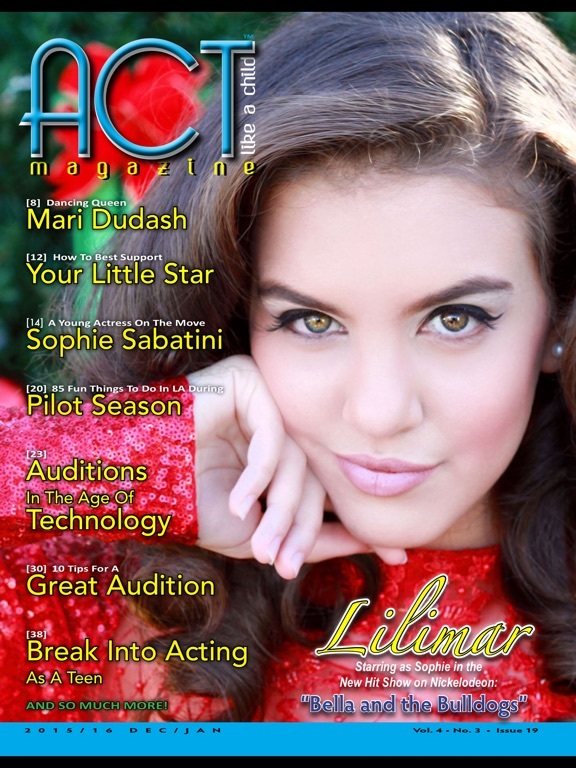 Are you a "twenty-something" that has the look of a teen and breaking into the acting/performing world? 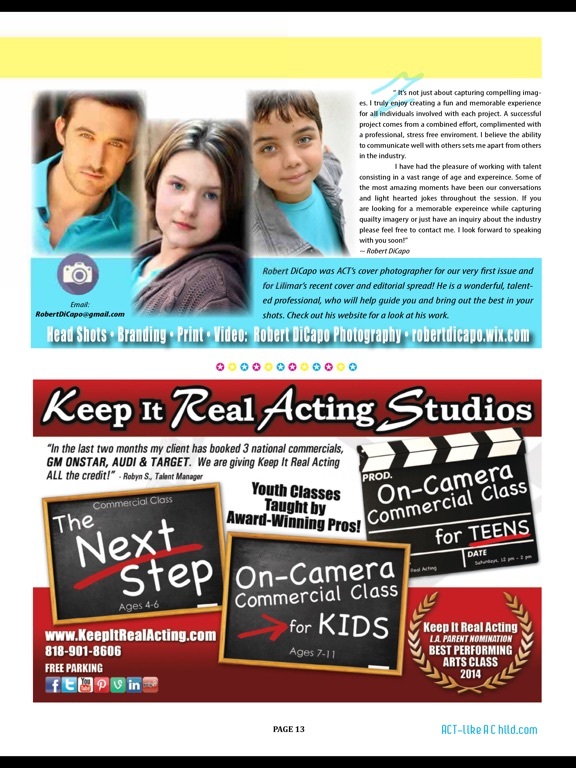 ACT Like A Child Magazine is written and produced by industry professionals, giving our readers accurate, informative, trustworthy, quality content to help prepare families interested in helping their children live their dreams in the entertainment field. 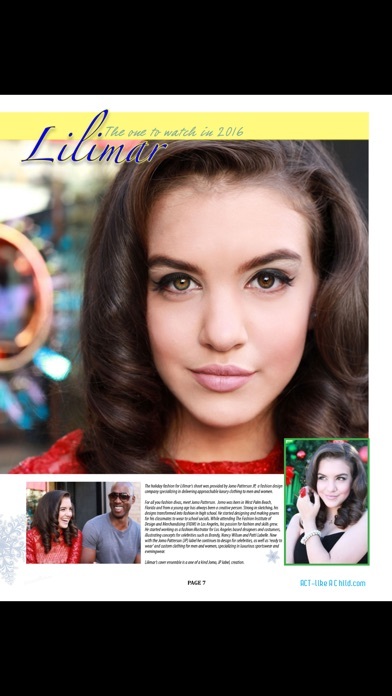 We are here to help promote talented young people, and help to inspire all the talented kids and their families all across the country and around the world. 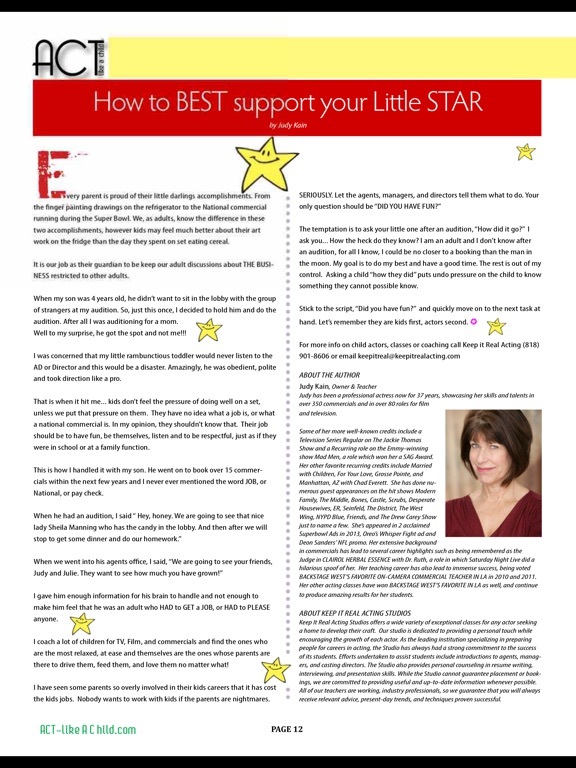 Your child can live the life of a star f they are determined and are prepared to do so! Hollywood is no child's play. 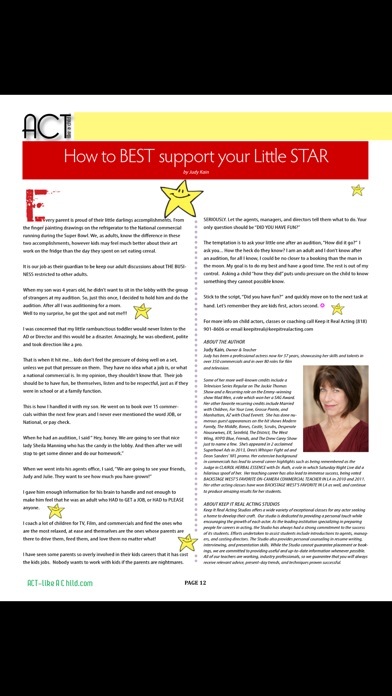 Every issue of ACT Like A Child Magazine provides seasoned advice, tips and inspirational stories to help prepare YOU and your child for the ride of a lifetime, from your hometown to Hollywood!